Download the FR-4800 Tooling Guide PDF. 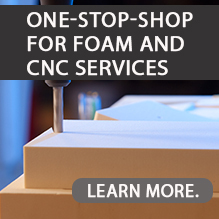 LAST-A-FOAM® FR-4800 is a high-temperature tooling foam board with low CTE which can be used with high-temperature resin systems, such as vinyl esters, epoxies and BMIs, in high-pressure autoclaves and fiber-reinforced composites. It can withstand peak temperatures up to 480°F (249°C) and continuous use temperatures up to 400°F (204°C). The FR-4800 tooling board is significantly better than other plastics in the market because it does not warp or twist even at elevated temperatures. 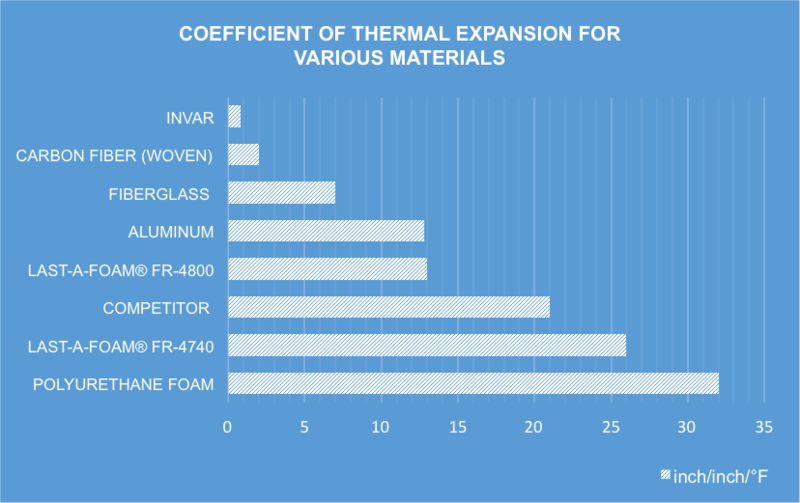 It will not change shape throughout the course of thermal cycling, preventing out-of-tolerance parts. Furthermore, its predictable and repeatable CTE makes it easy to calculate a tooling correction factor which helps improve the ability to produce high-tolerance parts. This is especially important in the production of parts for the aerospace, defense and automotive industries. The FR-4800 low CTE tooling board will machine well with traditional aluminum tools. Due to its density, the FR-4800 does wear cutting tools much faster than other LAST-A-FOAM® products. As a result, carbide tooling is recommended. It is also recommended you do a rough cut first, leaving an extra 1-3 mm for finishing. Consult our FR-4800 Tooling Guide for additional CNC machining recommendations. Use appropriate personal safety protection in accordance with LAST-A-FOAM® FR-4800 Safety Data Sheet. The FR-4800 is designed with a hard, smooth finish and does not require the use of a sealant compound. However, if planning to apply a liquid mold release agent, sealing the tool surface is recommended. Consult our FR-4800 Tooling Guide for a detailed list of recommended products. Shown are maximum standard sizes based on density. Custom sizes are available, the material can be bonded as well. Cut sizes are available from 0.125 inches (3.175 mm) up to standard stock heights as listed above.